Rep. Eric Swalwell (D-CA) introduced the “Journalist Protection Act” in the House Monday which would make attacking or intimidating journalists a federal crime. 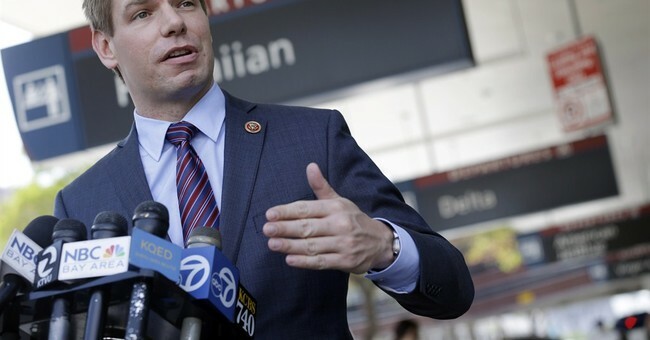 Swalwell claims President Trump has created a “toxic atmosphere” for journalists and his legislation is needed for their protection. Swalwell cited Trump referring to “fake news” reporting by mainstream media outlets as “a stain on America,” and some mainstream media outlets as “the enemy of the American People.” He also referenced Trump’s tweet of a video of himself body-slamming a person with the CNN logo superimposed on the person’s head. Swalwell’s act is co-sponsored by a host of Swalwell’s Democratic colleagues, including Reps. Steve Cohen (TN), Eleanor Holmes Norton (DC), Maxine Waters (CA), and Gwen Moore (WI).